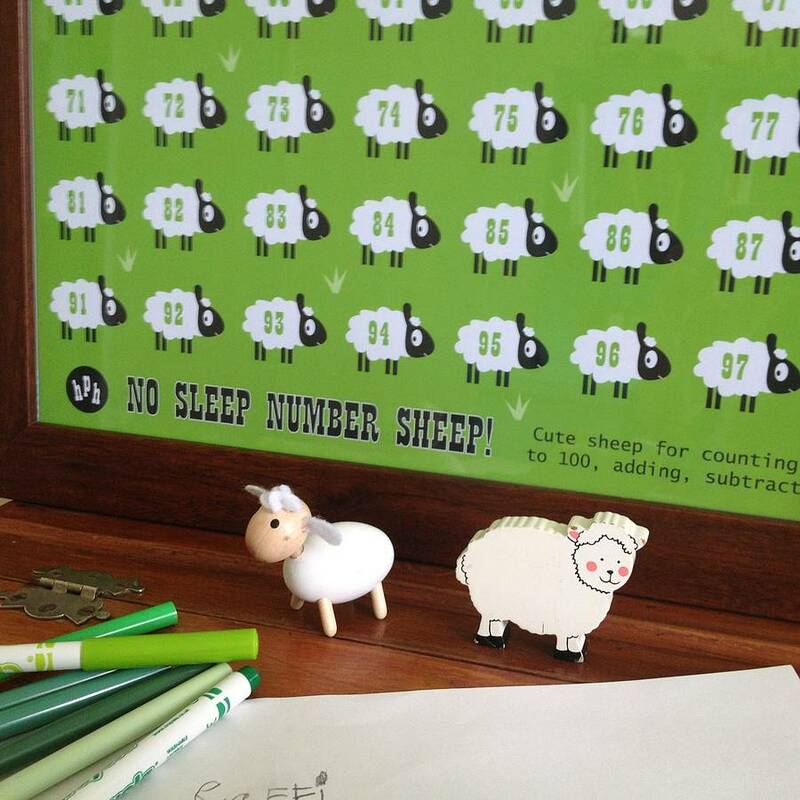 A large quirky sheep children's nursery poster and cut off mini poster with a field full of sheep to help with learning to count. 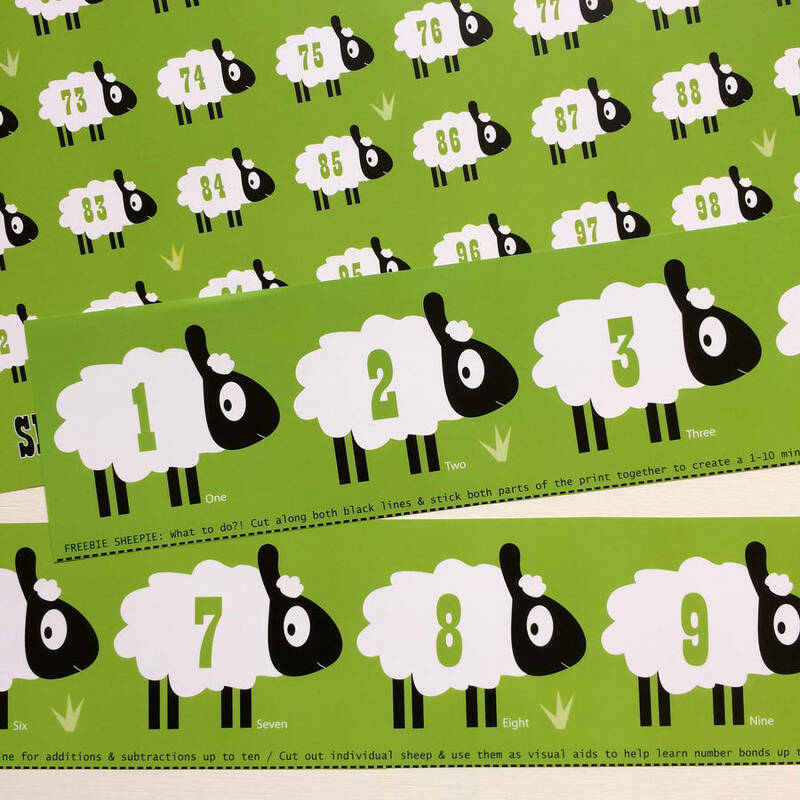 This children's educational number poster features all the numbers from 1-100 on cute white woolly sheep in a bright green field. 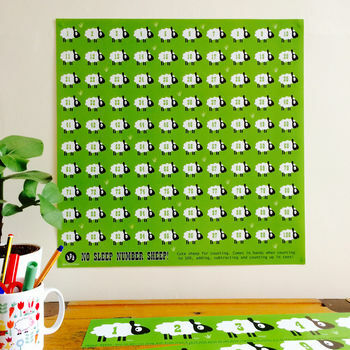 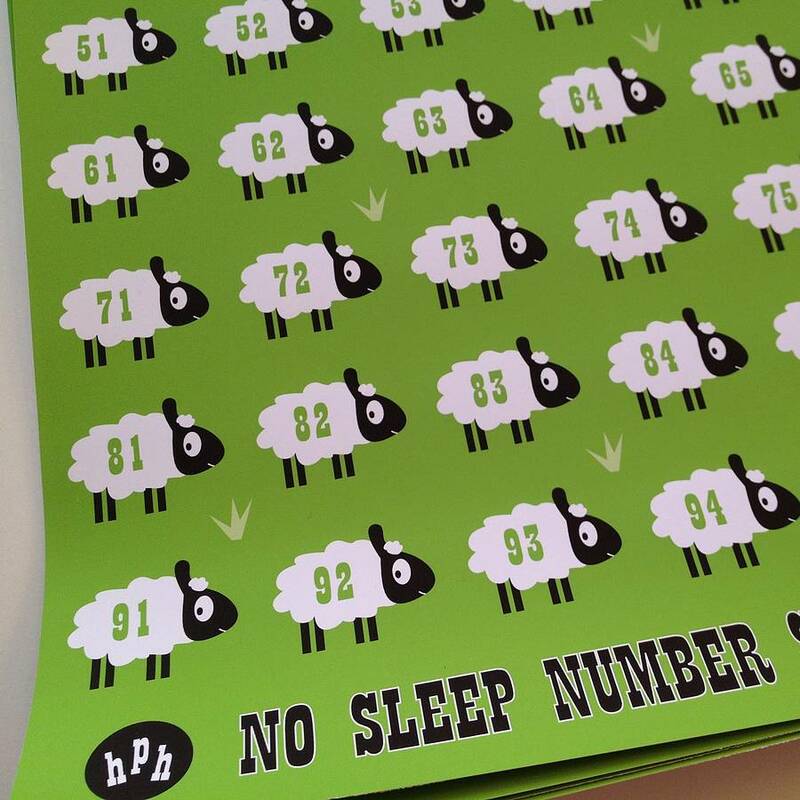 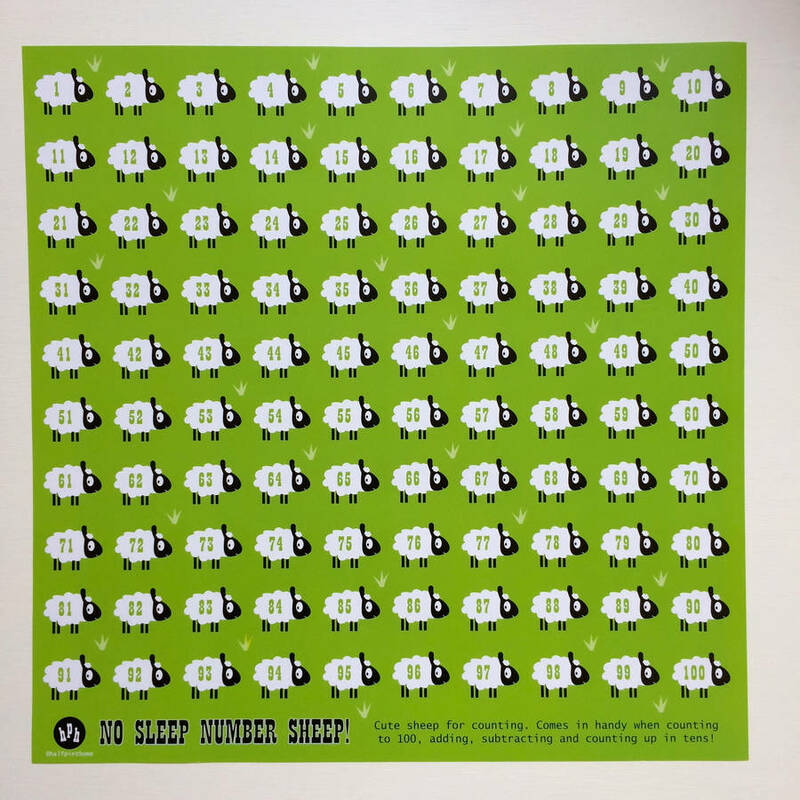 This 'No sleep number sheep' design (50x50cms) has been refreshed to also include two extra cut off sections (2 parts each 10x50cms) which can be joined together to make one long mini poster of sheep with numbers 1-10. 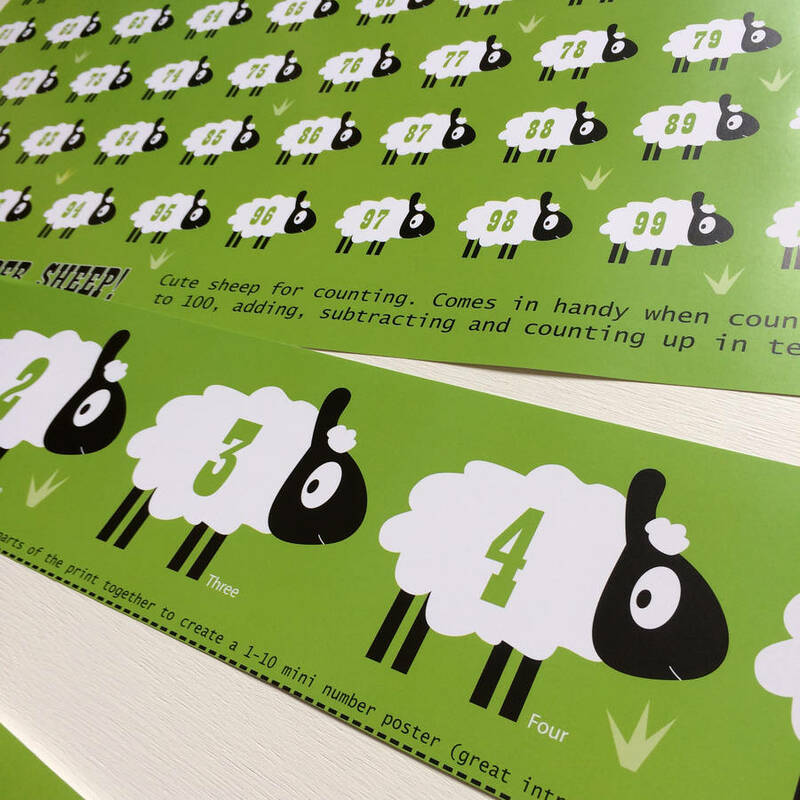 This can help children with learning number bonds to ten or be given to younger siblings as an introduction to numbers one to ten! 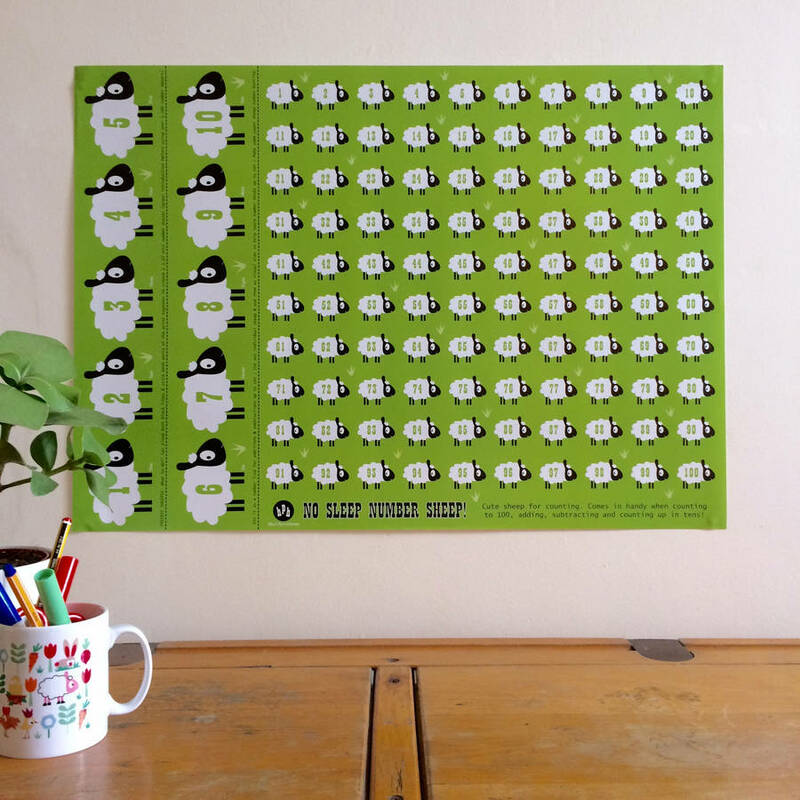 With it's bold illustration, and unisex styling, this poster is a cute and colourful way to help children learn to count to 100, add, subtract and count in tens. 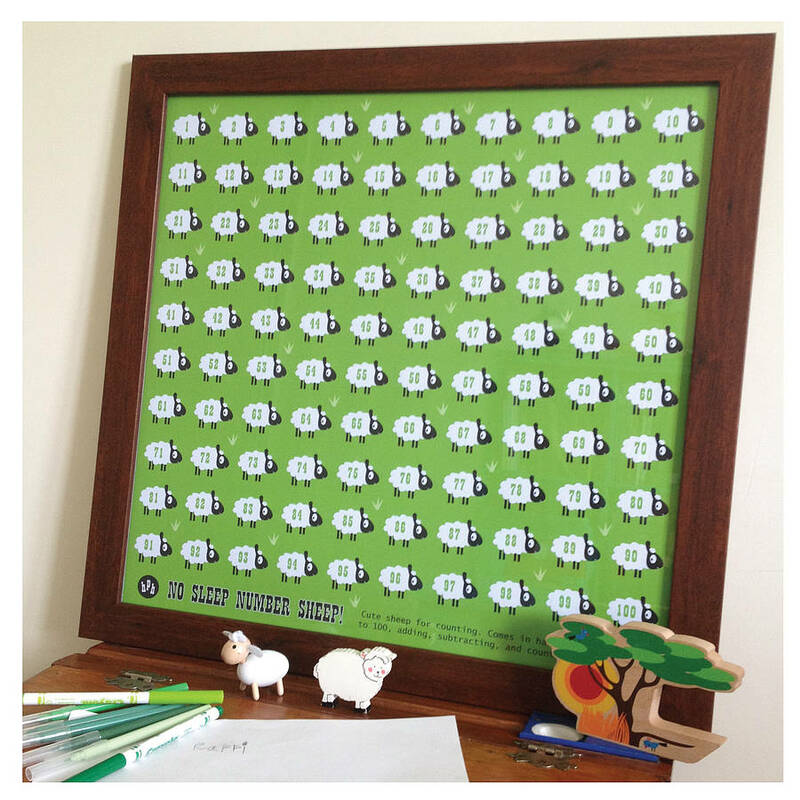 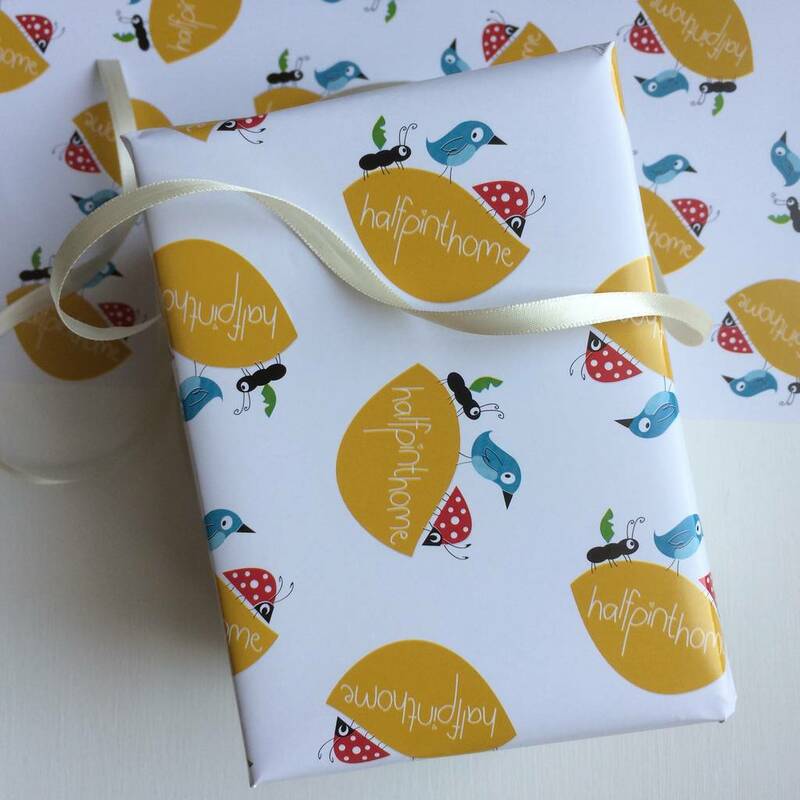 It makes a great addition to any nursery, bedroom or playroom and is a lovely gift. 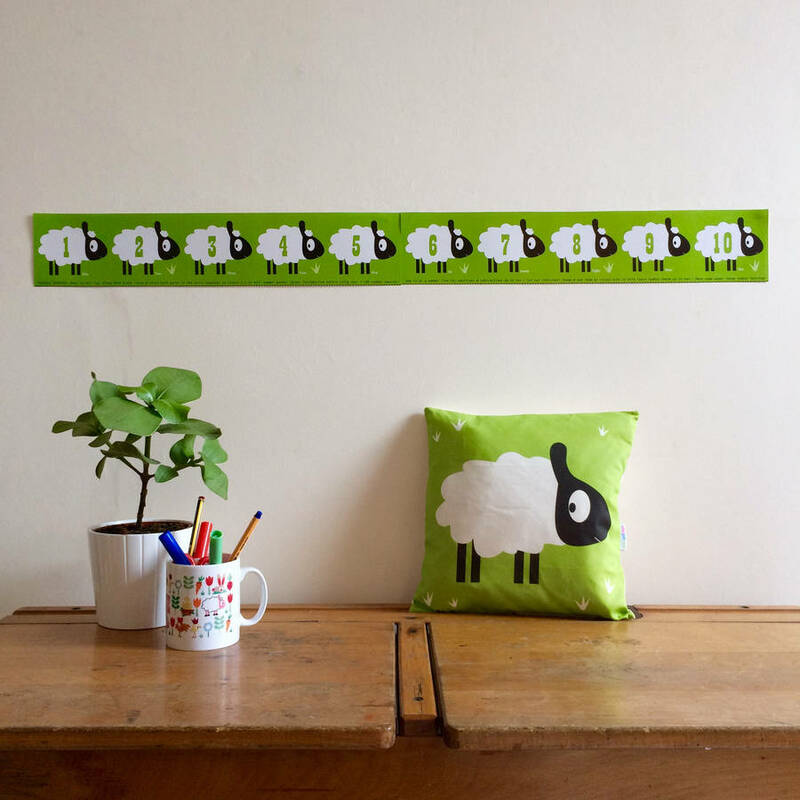 It is also light enough to pop up quickly with blue tac if you do not wish to puchase a frame! 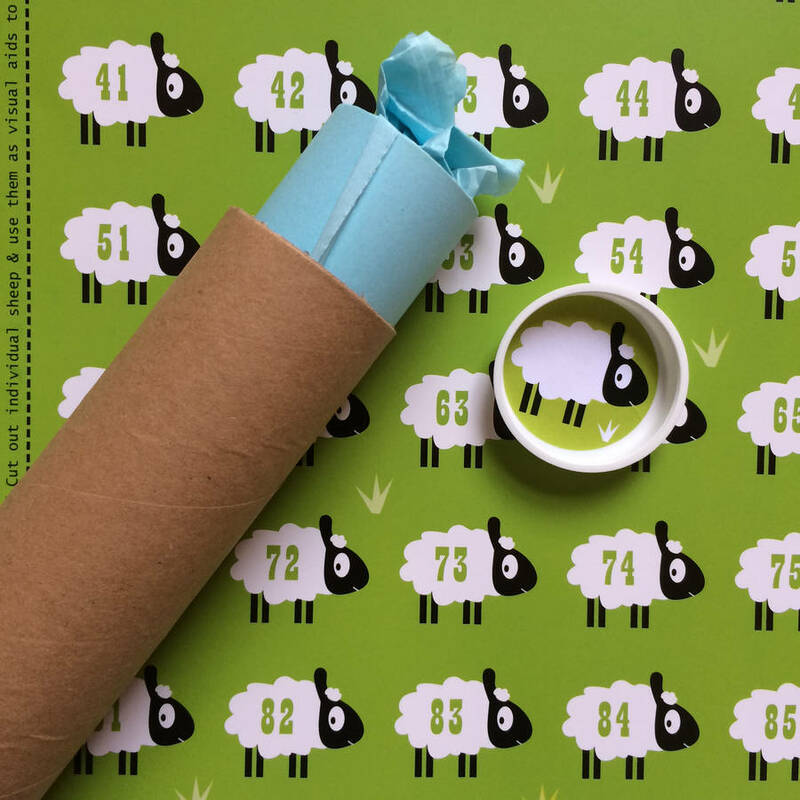 This poster arrives unframed and is sent in a tube to protect it from creases. 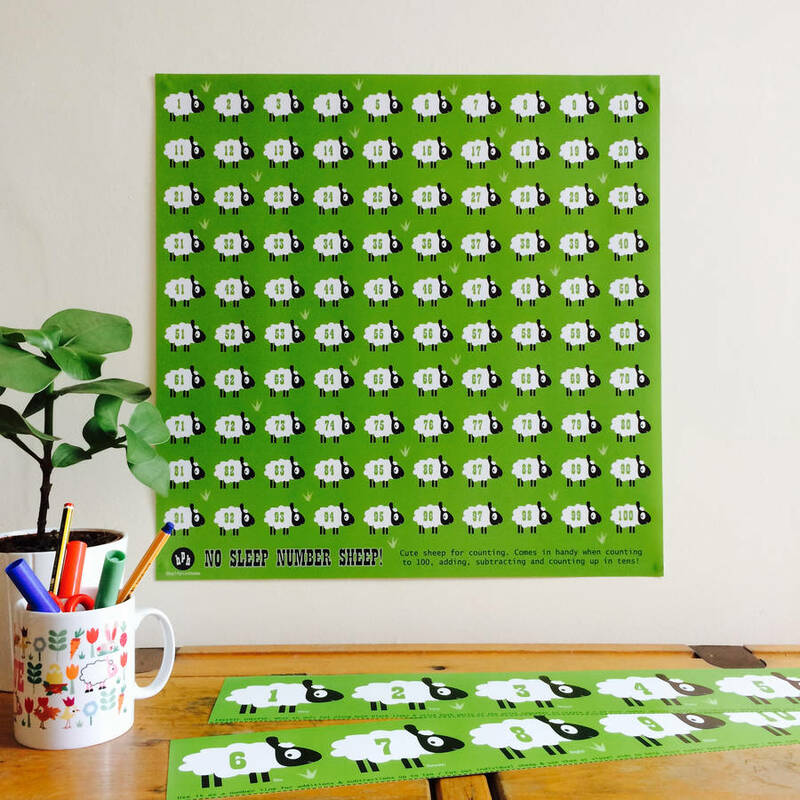 Professionally printed onto 170gsm premium art stock paper.